UL 142 covers steel primary, secondary and diked type atmospheric storage tanks intended for noncorrosive, stable flammable and combustible liquids that have a specific gravity not exceeding that of water in aboveground applications. Each tank type may be fabricated in a combination of various shapes and orientations with or without multiple compartments. Before shipment from the factory, the tank is inspected and tested for leakage as a completely assembled vessel. These tanks are intended for installation and use in accordance with the Flammable and Combustible Liquids Code, NFPA 30; the Standard for Installation of Oil-Burning Equipment, NFPA 31; the Standard for the Installation and Use of Stationary Combustion Engines and Gas Turbines, NFPA 37; the Uniform Fire Code, NFPA 1; and the International Fire Code published by the international Code Council. Requirements do not apply to tanks covered by the Specification for Field-Welded Tanks for Storage of Productions Liquids, API 12D; and the Specification for Shop-Welded Tanks for Storage of Production Liquids, API 12F. Special evaluations for resistance to hurricanes, tornadoes, earthquakes, floods, or other natural disasters; or resistance to vehicle impact are not covered in these requirements. These requirements do not cover portable or mobile tanks intended for transporting flammable or combustible liquids. These types of products are covered by separate UN, DOT, or equipment product standards. 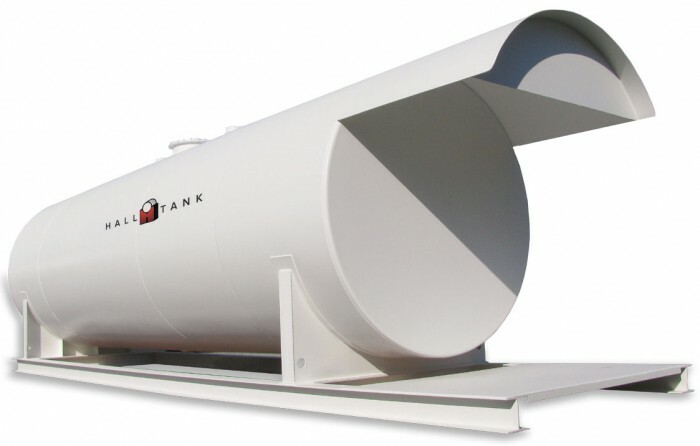 UL-142 tanks are also available in Vertical and Rectangular designs.